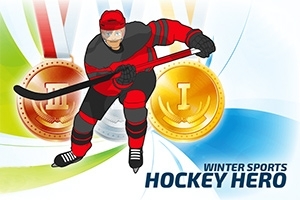 Choose your hero and compete against 3 fierce opponents in the Ice Hockey event. Avoid the attacking players to approach the goal line. Once in front of the goal time your shot to score! Will you win a Gold Medal by scoring in all 3 periods?